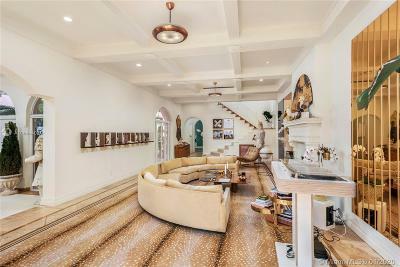 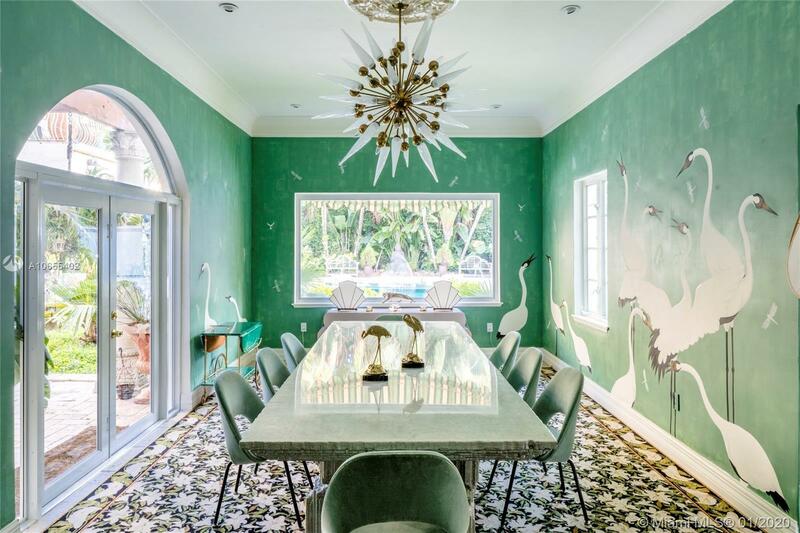 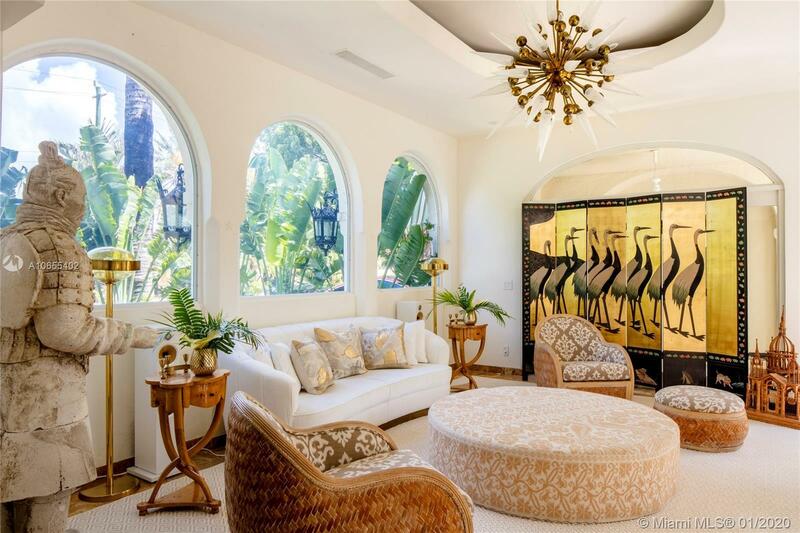 This classic Mediterranean Revival estate was meticulously restored and updated by Ximena Caminos, one of the creative forces behind the interiors of the nearby Faena Hotel, as her personal refuge and escape. 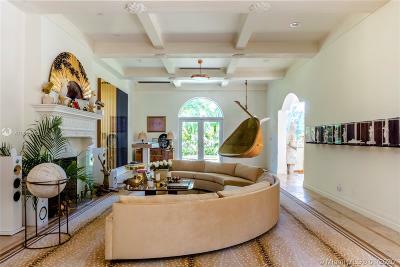 A contemporary beach design compliments accents such as a grand fireplace and custom wall murals. 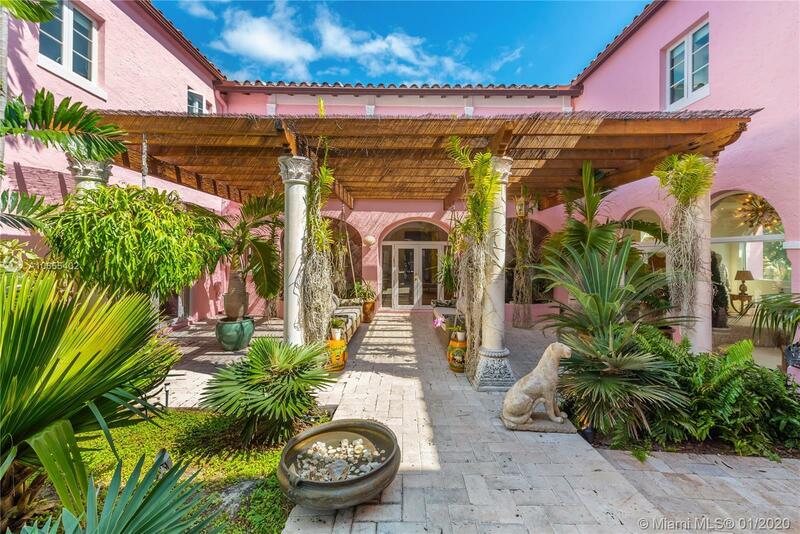 Original details include wrought iron, elaborate stonework, and pecky cypress inside and out. 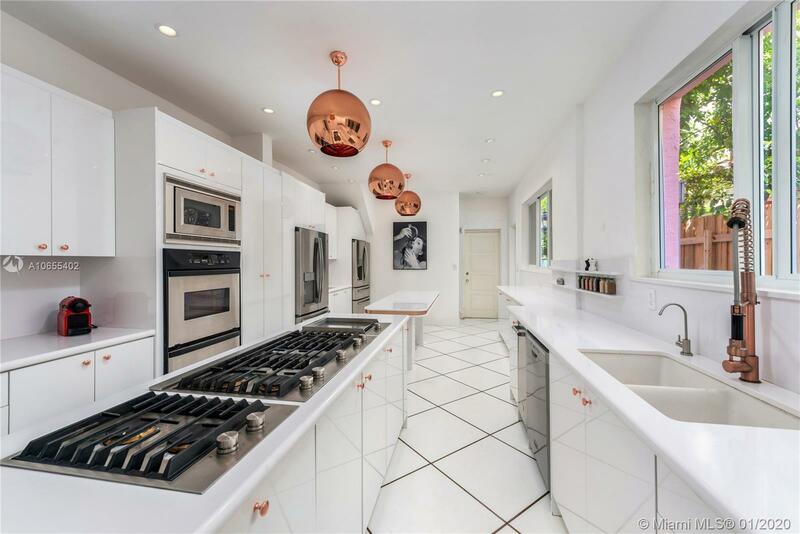 There is a gourmet chefâs kitchen with breakfast room and butlerâs pantry, as well as 7 bedrooms, all with ensuite baths. 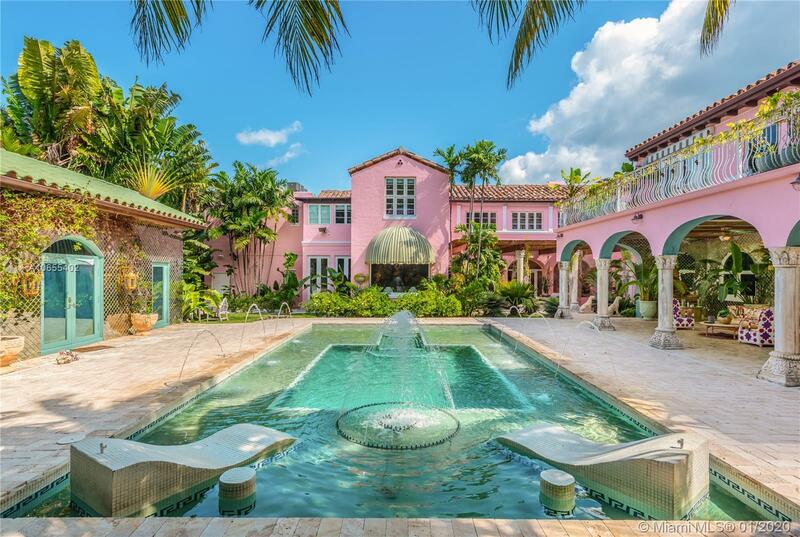 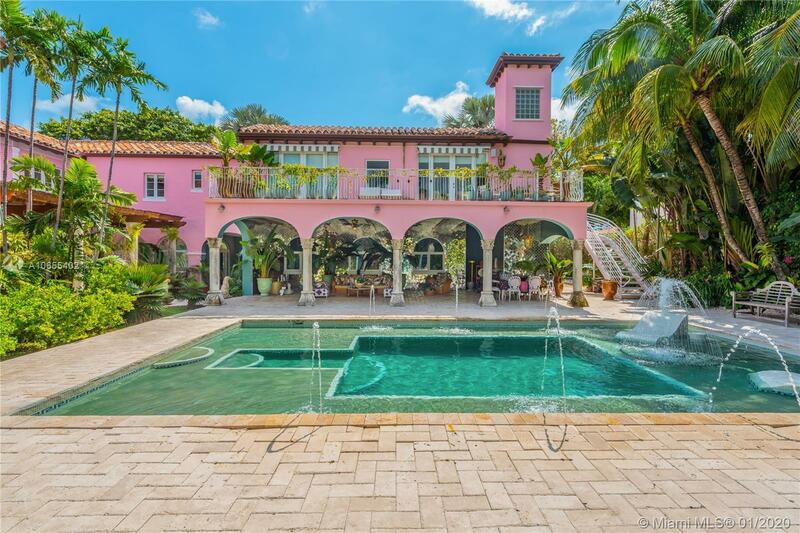 The exterior has an extraordinary custom pool and spa with elaborate water features and various outdoor entertaining areas including a large pergola with lush foliage and a poolside dining loggia. 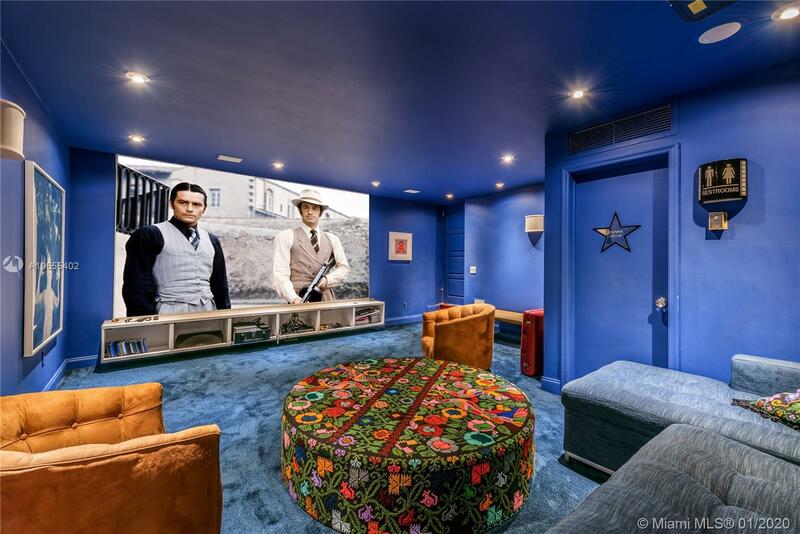 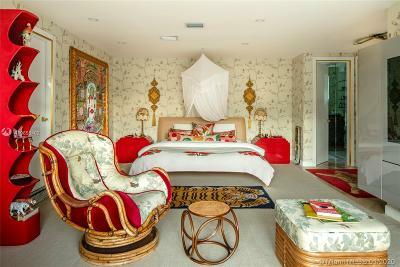 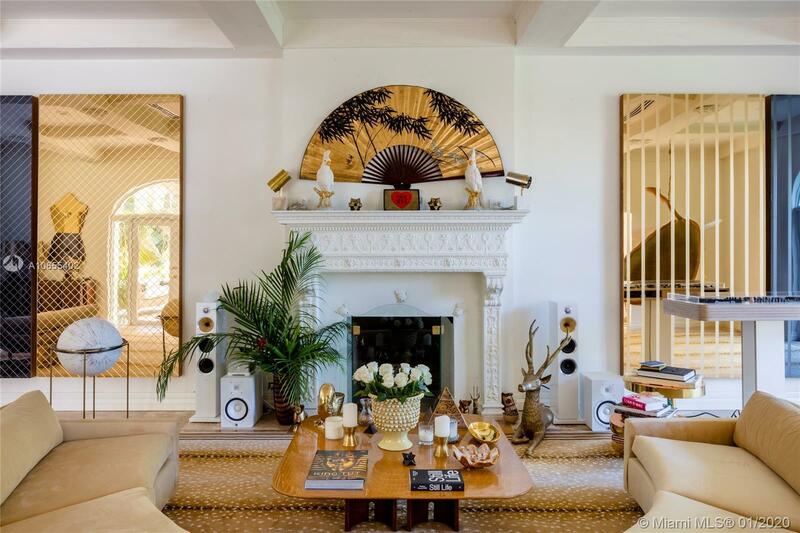 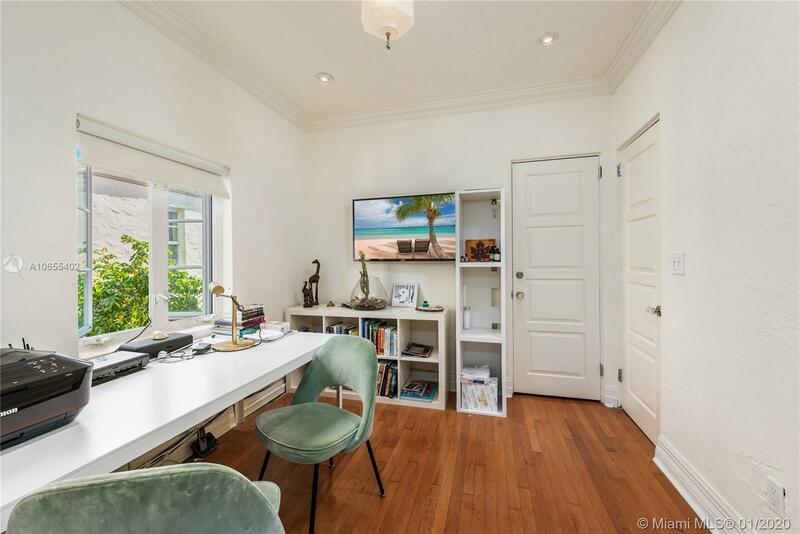 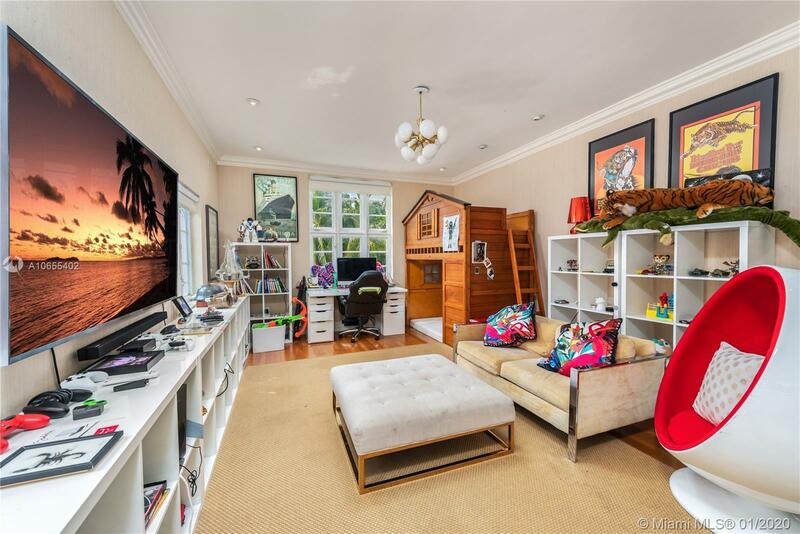 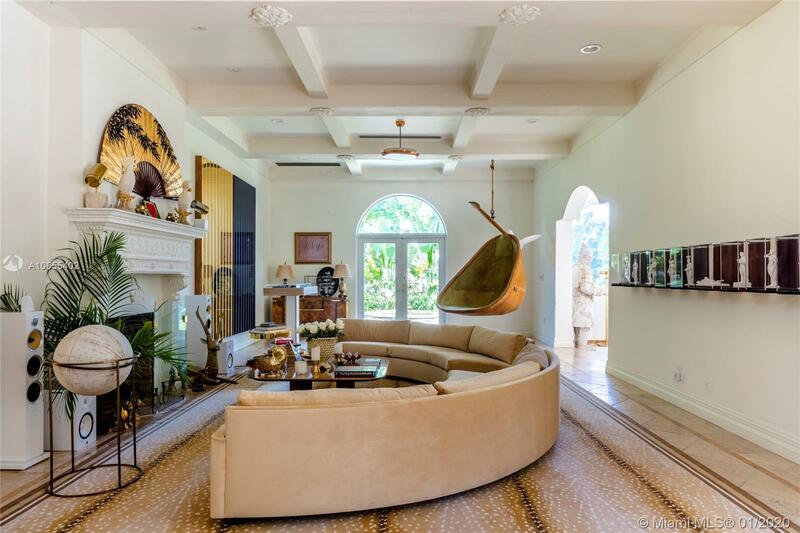 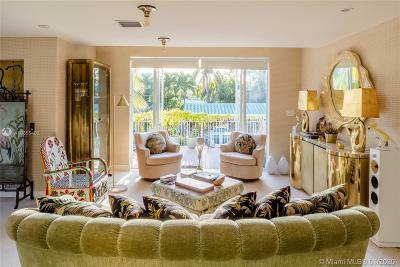 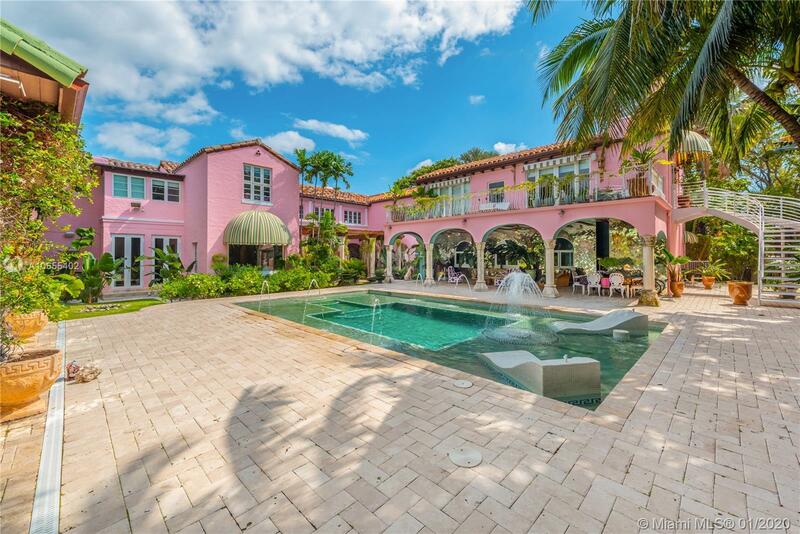 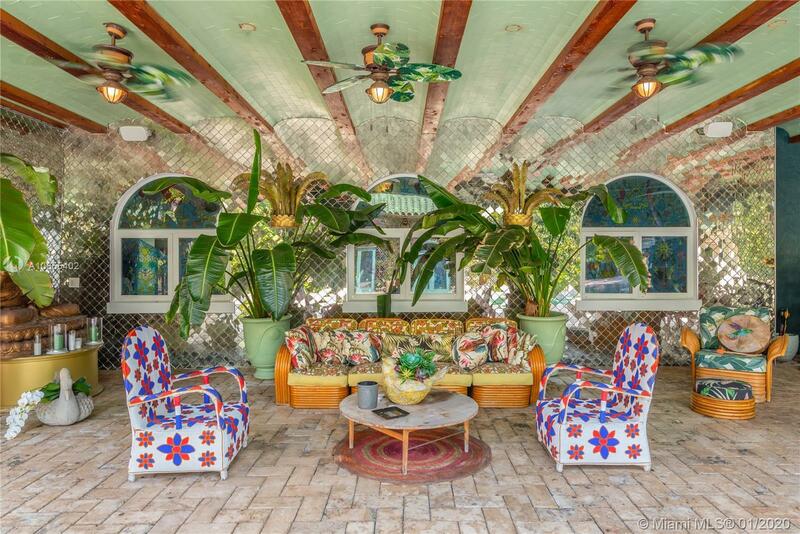 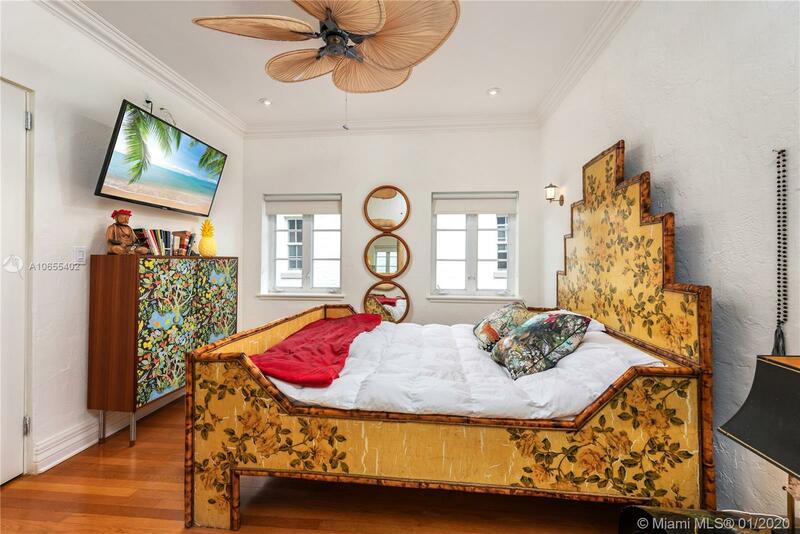 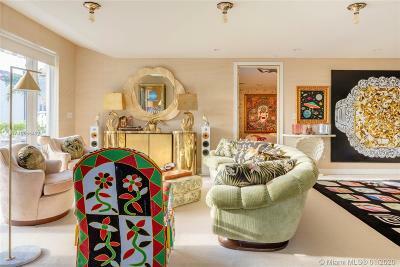 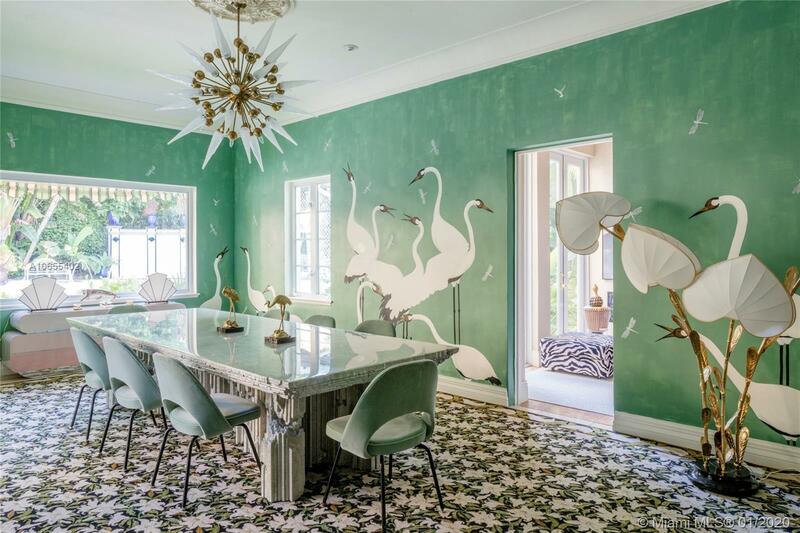 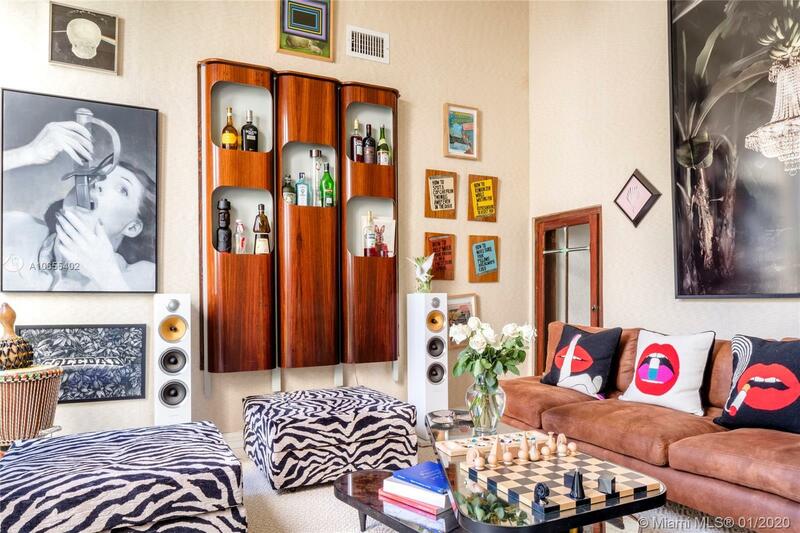 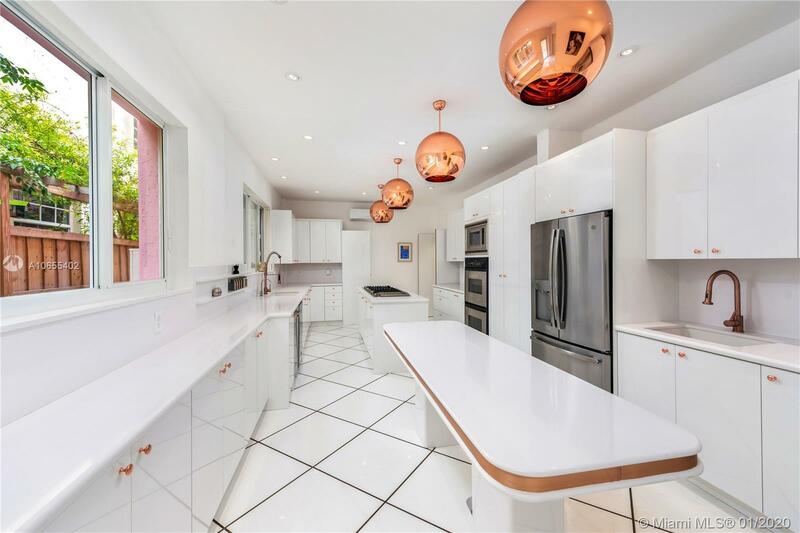 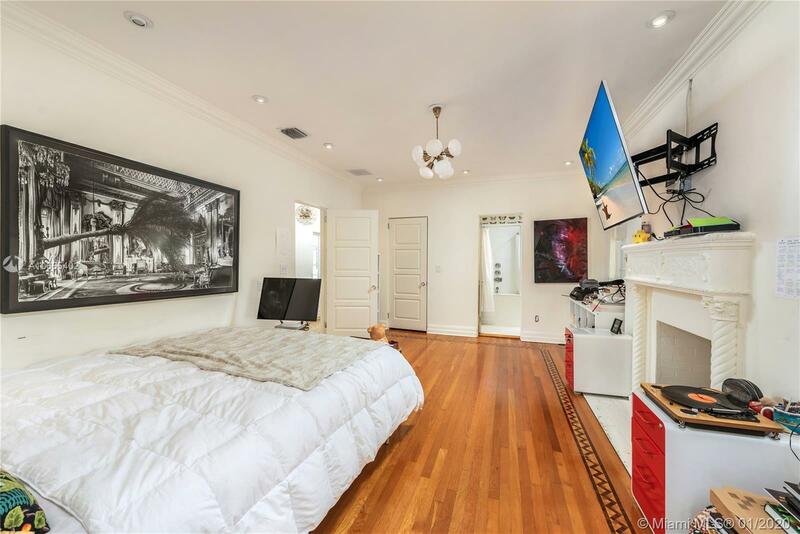 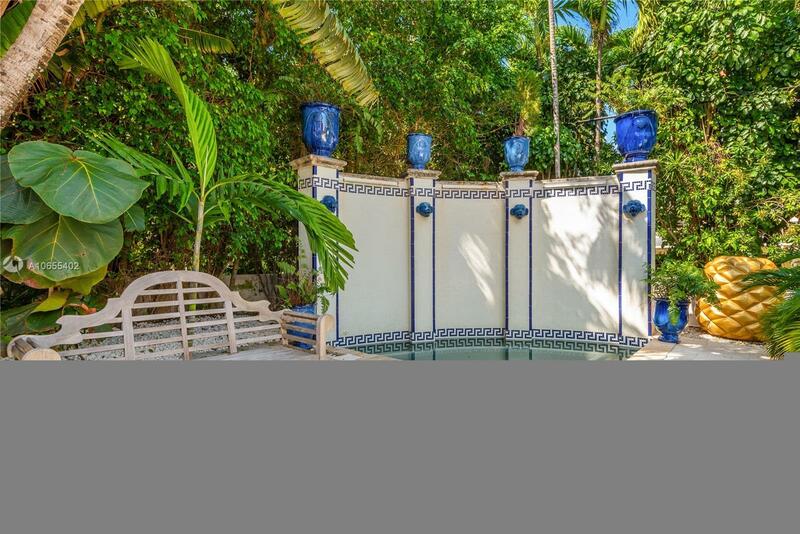 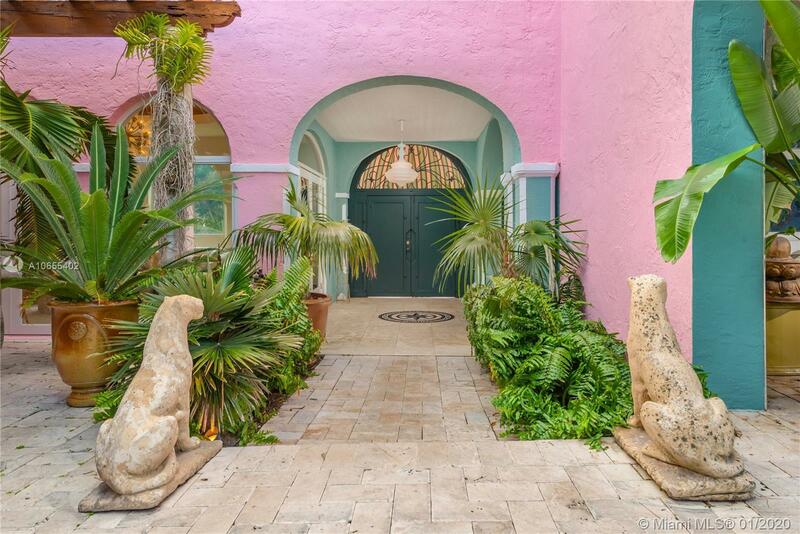 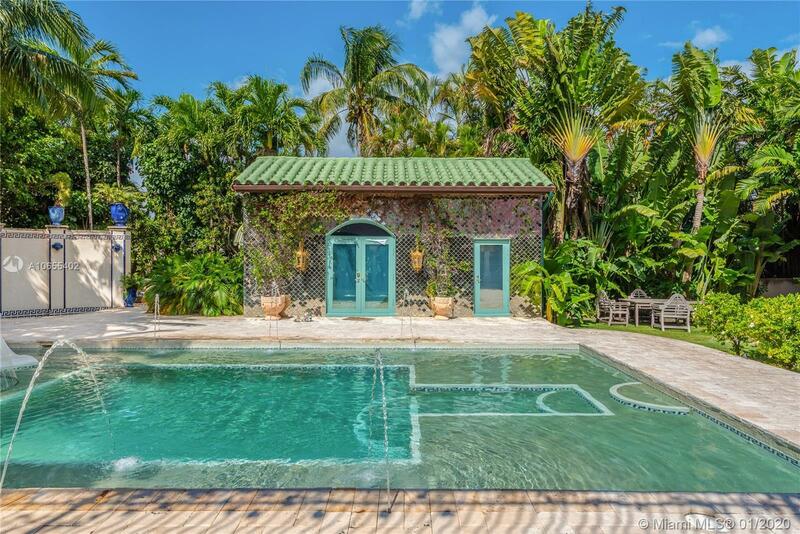 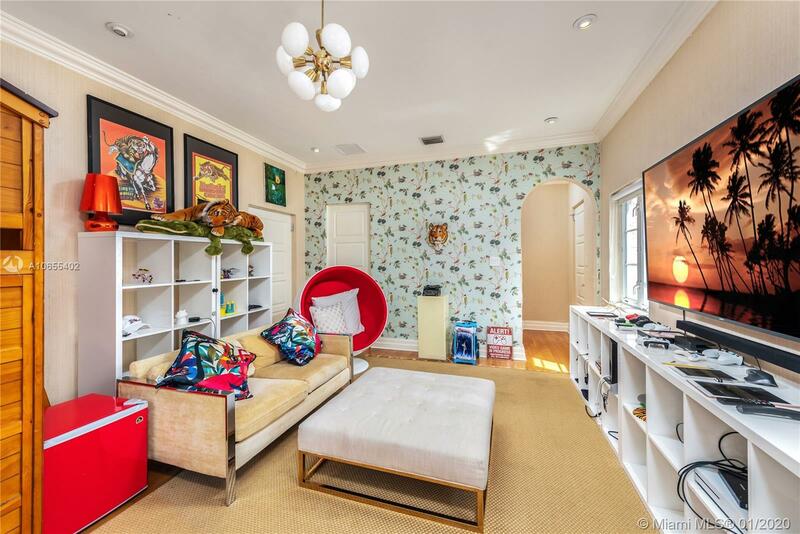 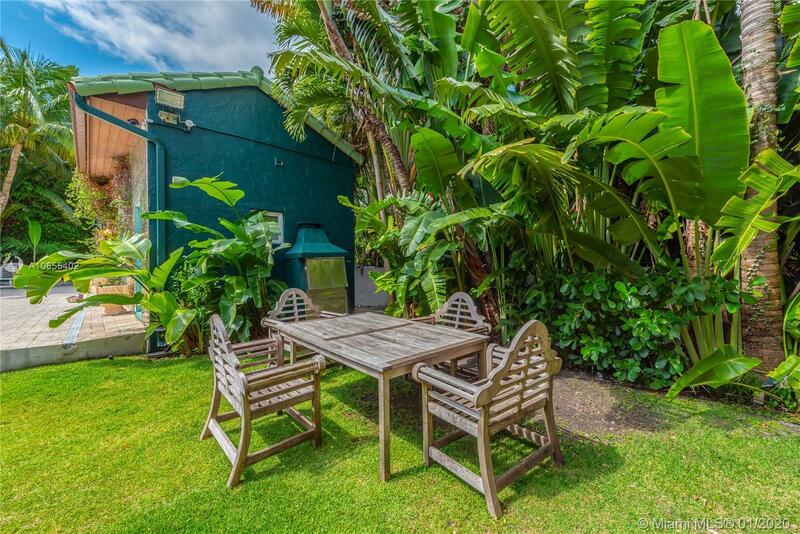 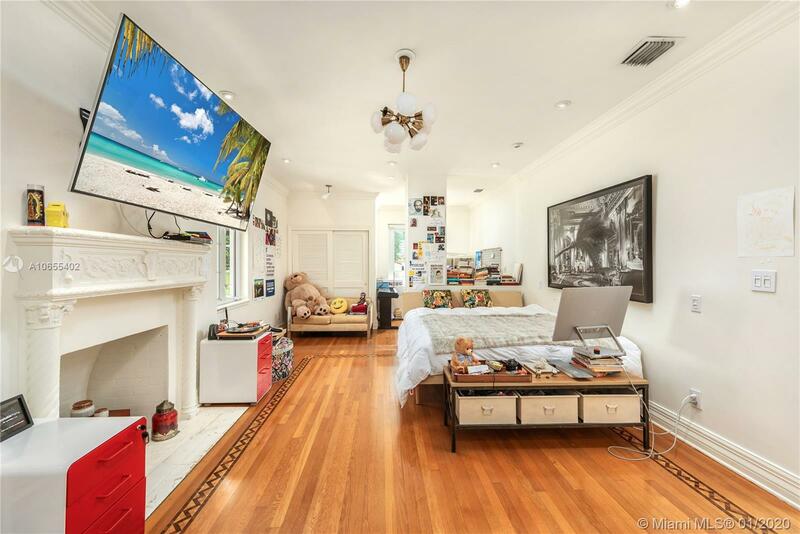 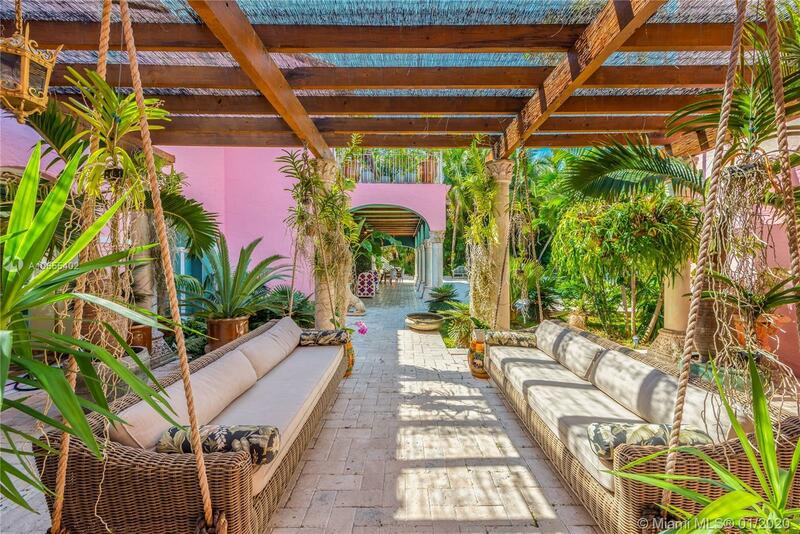 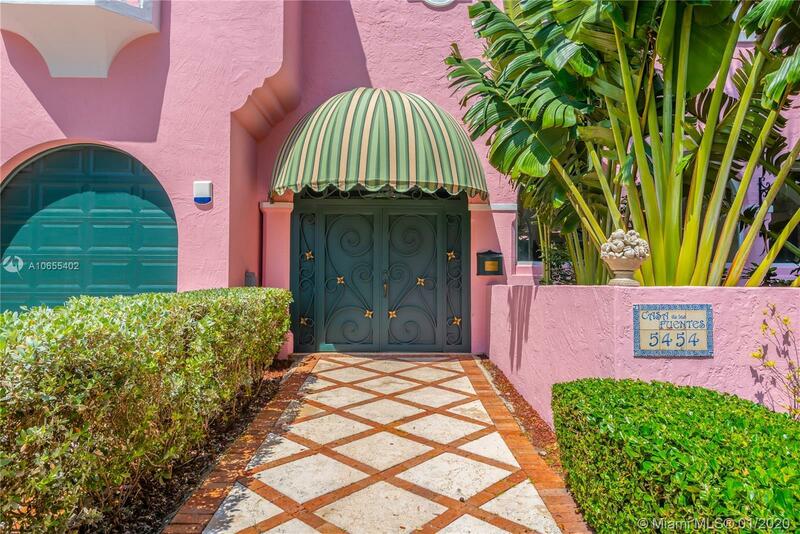 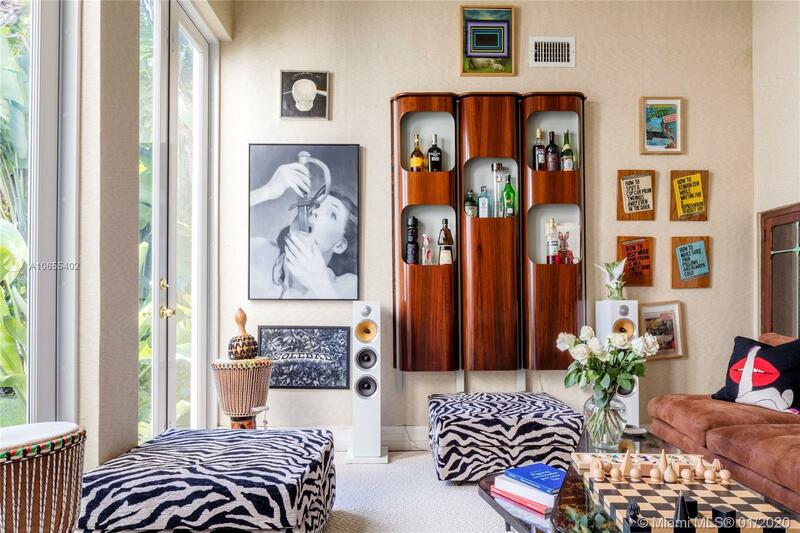 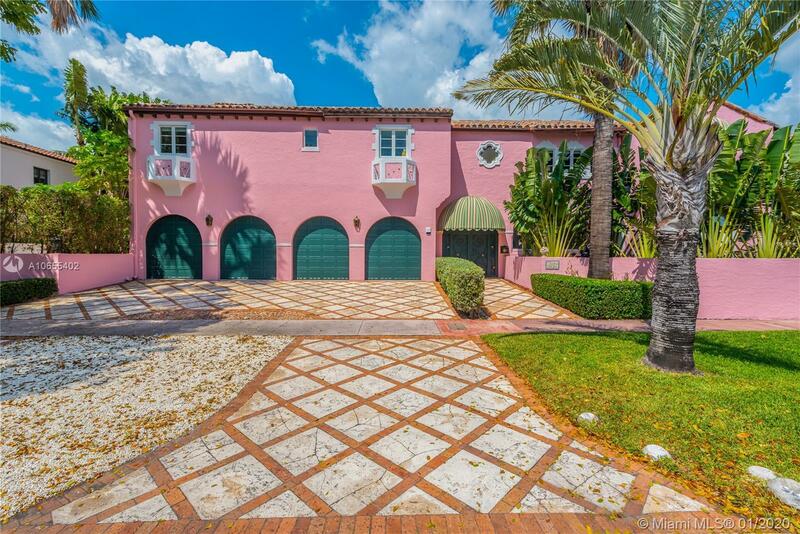 The house is located on a double lot on Miami Beachâs iconic Pine Tree Drive.